I found a newspaper from Jerusalem from 1919. 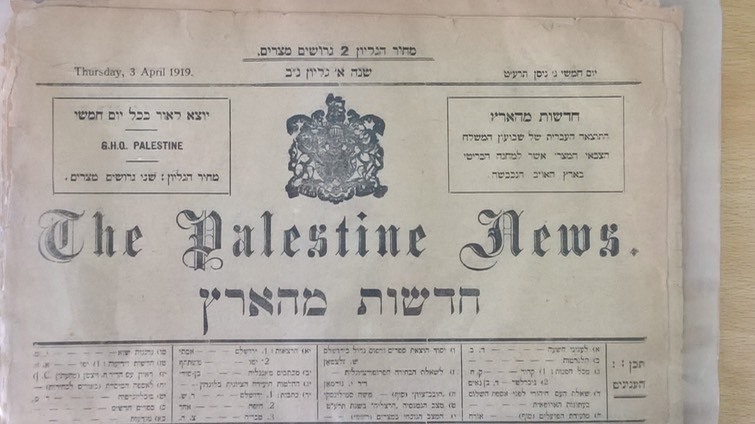 In fact it is a British newspaper and it was published as English, Arabic and Hebrew issues during and shortly after World War I to cement British control over the diverse territory. As far as I know it was printed in Cairo. It was later sold to a Jewish publisher. Its price is given in Egyptian currency. It cost 2 Egyptian Grosi. The Hebrew title is "News from the Land". Unfortunately much of the issue I have is really unreadable. I took a picture of the front page which really is the best-kept page. 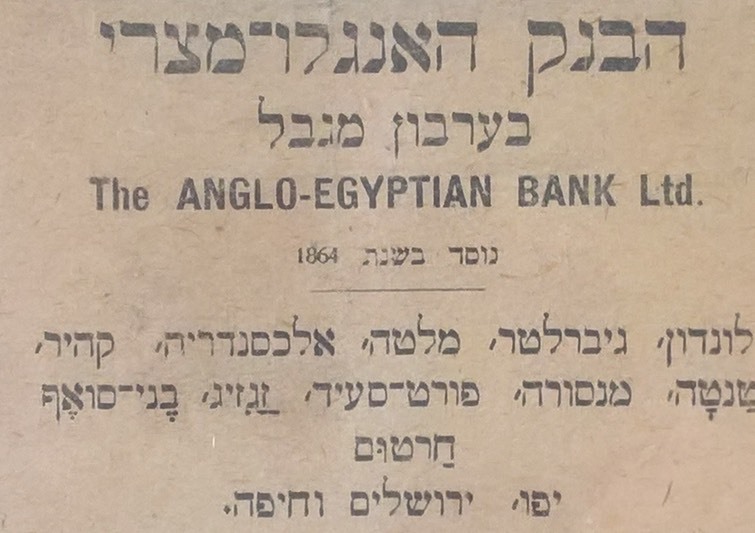 The newspaper also featured an ad for the Anglo-Egyptian bank which was then a major operation in the region. The bank was founded in 1864 and is a Limited Company in Hebrew as well as in English. The list of cities it has branches in is interesting. London, Gibraltar, Malta (both British outposts), Alexandria, Cairo, Tanta, Mansora, Port Said, Zagazig, Beni Su'ef (all in Egypt), Khartoum (! ), Yafo (which was then still larger than Tel Aviv), Jerusalem, and Haifa.